I have to post this poem I wrote (mangled) last Christmas. It’s my favorite for obvious reasons. Just had to change one word. up to my rooftop, to my living room they flew! but their clothes were all tarnished, with ashes and soot. and they looked just like heaven, when I calmly stared back! and filled all my dreams with songs and a perk! and giving a nod up the chimney he rose! and away they both flew, like the down of a thistle. Well folks, most of us got a surprise in the last 12 hours or so! Apparently, things are finally starting to heat up with the recent release of their new Latin CD. However, it looks like only in Japan. But, it appears it’s all over already on itunes, spotify and others. Check it out on your instagram and Facebook sites. Thanks to Daniela for the info this morning! Can the US tour announcement be far away?? 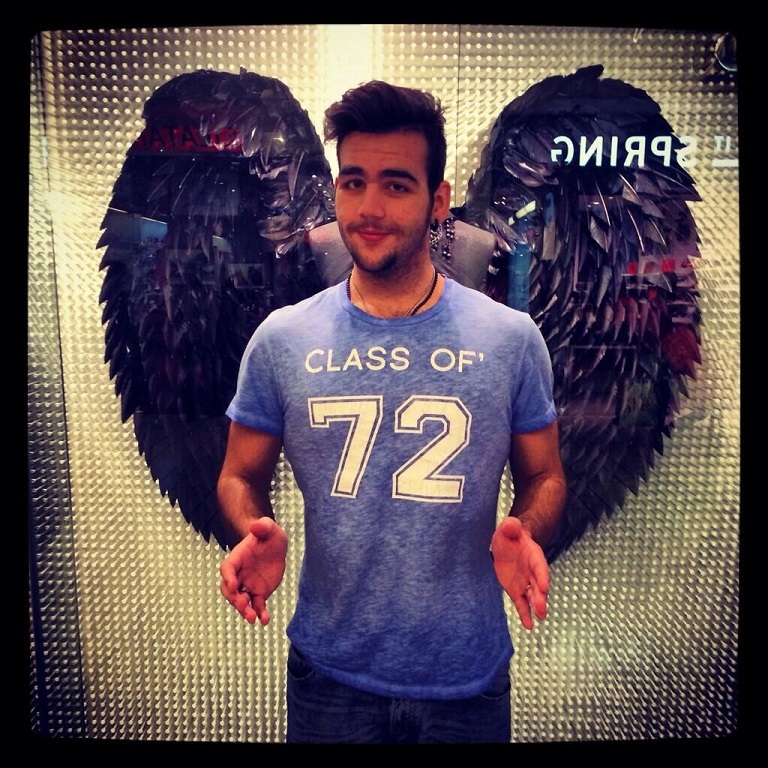 Happy 24th Birthday to our wonderful, talented, funny and kind Ignazio! You make me smile when you laugh and smile. It’s contagious! Hi Igna from California. I am sending you my wishes for a very happy birthday. You have brought such joy into our lives with your voice and great personality, and I wish for you to have as much joy and happiness as you have given all your fans. Blessings on you on your special day. and more than I can know! your heart, your voice, your life! in listening and singing with you! in part thanks to your music played daily. October 2nd, 2012, when you invited me to Meet & Greet. praying hands from the stage. in nature to the music of you & IL VOLO! Birthday wishes Ignazio!! You are so talented, so very handsome and your infectious personality draws fans to you from all around the world! Love your interactions with your Il Volo brothers while on stage. I can’t wait for another American tour to be drawn into that special magic you have with your audience! Buon Compleano & Tanti Auguri🎂🎂❤️❤️Annette Naples, Fl. Ignazio, wishing you a wonderful day and an amazing life …… Happy Birthday! From Ineke in South Africa. 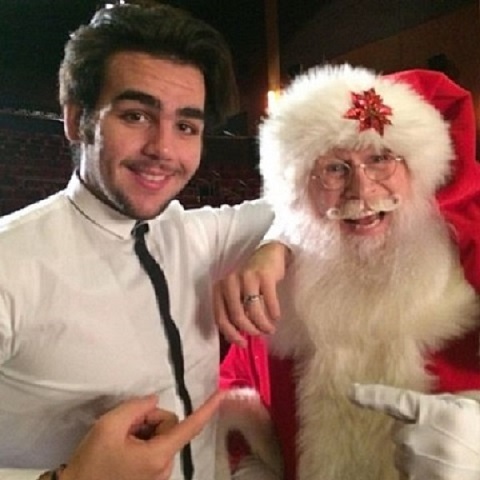 Ignazio – Have a very Happy 24th Birthday and many, many more. May God bless you and your family and keep you safe and healthy. Auguri di buon compleanno. Ti auguro il meglio del mondo e tanta salute. Successo continuo con Il Volo. Hope you have a fabulous birthday with your family and friends. We miss you and hope to see you soon. ALL MY PAIN GOES AWAY. A toast to you Ignazio on your birthday!! humor. Hope you never change. Enjoy your day with friends and loved ones. che spesso ride e scherza, ma che ha un grande cuore. who often laughs and jokes, but who has a big heart. Best wishes, “free spirit” !! I want to wish you a really great birthday ! ! ! With family or with friends or both I hope it is meaningful for you. You are always easy to talk to either in person or by phone. Looking forward to seeing you here in Vegas again. Happy Birthday my handsome Ignazio. You’ve brought so much joy into my life. I hope you have a beautiful day. Warmest wishes for a lovely birthday filled with much love and happiness! Thank you for all the beautiful music and joy you give. Looking forward to hopefully seeing you on tour in 2019! Dear Ignazio many good wishes to you on your Birthday. God has blessed you with your great tenor voice, a wonderful sense of humor. I admire your caring for people in need. Your goodness shows in your voice. You can go from the amazing beautiful Neapolitan songbook to Opera, and then to Broadway. The awesome harmonies you have with your brothers is extraordinary. I would love to hear you sing Andrew Lloyd Webber “The Music of the Night” from Phantom of the Opera. You have the voice and looks to be the best Phantom ever. Again a very Happy Birthday! Buon Compleanno! Vince Padovano, Brooklyn, NY. Happy Birthday wishes to such an extraordinary, accomplished and gifted man. I am very proud of all you do and your generosity to others! I found a perfect birthday gift for you. I bought a small book of contemporary love poems, that I made me think of you. I could envision your ability to convert poetry to musical lyrics. So I am enclosing the poem, as a small gift. Consider it as a small gift from a granny to a favorite grandson. My message to Igna: Ignazio you are my renaissance man, every thing you do, you do with passion and a maturity beyond your years. I wish you a long and happy future. Even though you probably don’t know your impact in my life, I thank you for being a part of it, you are a treasure to me. Happy 24th Birthday Ignazio I wish you the happiest of birthdays – may you have a special day filled with love family and dear friends. You are the sun the moon and the stars – You are the universe. From the moment I heard your beautiful voice, saw your beautiful and handsome face and found out what a special and caring heart you have, I was hooked. Your amazing and beautiful voice lifts me way up whenever I hear you. Listening to your voice starts my day! Ignazio You Light Up My Life each and every day. I hope you will be able to see all the warm birthday wishes your IlVolover fans send to you today. I want you to know your joy is infectious, your sense of humor is endearing and I can hardly wait for your 2019 tour with with your brothers to arrive. May God always keep you safe and in the palm of His hand. I call you “IL VOLO ” MY ITALIAN BOYS, KIND BOYS. IM 65 YEARS. I MADE MY PEACE WITH GOD, FAMILY, FRIENDS AND NOW, IL VOLO. IS GOING UPPER TO HEAVEN. There is a phrase, “be still my heart” and a song sung by Keely Smith… “be my love, for no one else can end this yearning…” That is what you do to us, Ignazio…. With each breath you take to sing your lovely notes, our hearts stop beating and our lungs stop breathing, you give us our life’s breath and heartbeat, with each note you let linger on your lips. You breathe into us life and love beyond what any soul can possibly bare, and we drink in each drop of song that you share with us. Each note, each word, each soft breath and each long note you hold, you instill pure love and energy that nothing and no one can match. The love for your fans and the joy you share with us is so honest and true, we are humbled by your humbleness – in that, you are truly the epitome of a rare beauty, only known to you. If there were to be a new rose, it should be named Ignazio, for no other can compare to your beautiful soul. It would be of pure white with just a tinge of pink and orange on the edges. The purity of your soul and the warmth of your heart. We look forward to celebrating your birthday again this year on Oct 6. God truly blesses you, as well as He blesses us, for allowing us to experience all that is you. Many birthday wishes and blessings, to infinity, and back again!